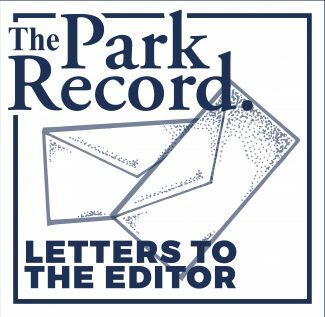 I am writing in response to the opinion piece, “Equal Pay bill has a serious Downside,”that was published in the Feb. 15 issue of The Park Record. Although I value financial security for all families in our community and country, I disagree with several ideas presented in Mr. Green’s argument. First, I want to recognize that according to PEW Research Center, the mother is the primary breadwinner in 40 percent of all households nationwide. Mr. Green stated that if we are to enact the Equal Pay Act, we will be taking away income from the primary breadwinners, men, thus creating a vicious cycle in which men can’t support their families and women have to go to work. However, based on the previous statistic, it is undeniable that by supporting equal pay, the Utah Legislature will simply be supporting all families, regardless of their structure. Second, I would like to note that gender roles should not factor into the merit of the Equal Pay Act. According to PEW (2016), about half of all working dads with children under 18 say that they’d prefer to stay at home with their kids. Mr. Green noted that many working mothers hope to stay at home as well. Yet, he failed to recognize the flip side of his argument. By enacting the Equal Pay Act, the gender of the parent staying at home won’t have to be a deciding factor. Rather, either parent could choose to work without having to worry about whether they are receiving fair pay. Finally, as a female senior in high school who aspires to become an engineer one day, it is concerning to me that Mr. Green feels “the marketplace” should determine whether or not I get equal pay in my field. In fact, as a female going into a male-dominated field (even in 2017), I am concerned that without government regulation, I won’t make as much as my male-counterparts simply because of the ingrained biases my employers may (or may not) have. I am a girl. I am going to be an engineer. Regardless of where my career takes me, I deserve equal pay. If Donald Trump and the Republican Congress are really concerned about American lives then they have to go no further than legislating for stricter gun laws. Not one American life has been lost to a terrorist attack from any of the seven countries on President Trump’s Executive Order, but thousands of American lives are lost each year to gun violence. Real facts from the U.S. Center for Disease Control tell us that, on average, over 12,000 Americans lose their lives each year to gun homicides. On an average day, 93 Americans are killed by guns and that’s not including all those that are injured. Shockingly, America’s gun homicide rate is more than 25 times the average of other developed countries. If Vice President Mike Pence and his fellow Republicans value life so highly that they are pushing to shut down Planned Parenthood and intruding their personal religious beliefs into women’s lives, then why aren’t they also forcefully pushing for stricter gun control laws? What normal citizen needs to have an automatic weapon? Mentally ill people allowed to have guns? Open carry? Concealed weapons? Apocalypse now? If so many Republicans think it’s “just fine” for ordinary citizens to carry guns in schools, malls, workplaces, why are these ordinary citizens prohibited from carrying them into the Halls of Congress? Are the lives of legislators more valuable than those first graders’ lives in Sandy Hook or more recently the vacationers who had just flown into the Fort Lauderdale Airport in anticipation of family celebrations? We don’t have to look beyond our borders for threats to American lives. The danger is real. It’s guns and legislators who are more beholden to the NRA than the USA. What words can express how amazing this community has been after our loss? How could we ever express our gratitude? Our house burned to the ground two weeks ago and I suspect I still am in shock. 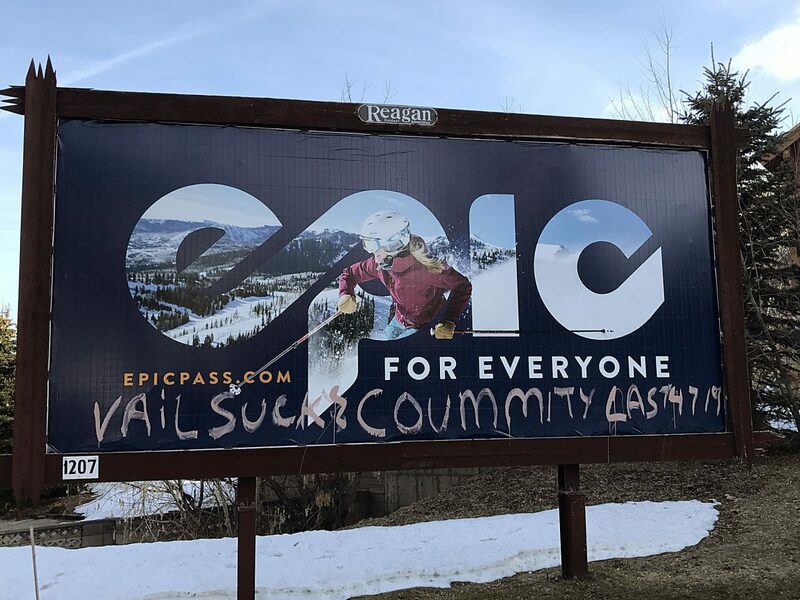 But the Park City community has supported us in so many ways for which we are ever grateful. The kindness of strangers has been amazing and heartwarming. To all who gave us coffee and homemade cookies and warm clothes when we still couldn’t fathom what had just happened, know that we so needed those gestures and items even though we didn’t know it at the time. We unwillingly joined the tribe of Those Whose House Has Burned Down. To our tribe, thank you for your support and encouragement, the message that it gets easier. I trust you on that. All who are reading this — don’t wait until a disaster to meet your neighbors. Say hello, smile, introduce yourself, don’t wait until mayhem. Kindness is always the right choice. To everyone at Ballet West Academy who supported Mia in the most kind and caring way for a teenager who found her house in flames on a Friday coming home from school, we cannot thank you enough. To everyone everywhere: dig out your fire hydrant after a snowstorm! That is the only reason our garage didn’t burn as well. To everyone who has been watching for our dog Roxy, all who have called for her, hiked and looked for her, left food on your porches for her, thank you so so so much. She still has not been found, but she is a scrappy one and a survivor. I am so happy, so honored, to get daily text photos of all the skittish blue heelers in Summit County, until one day, some day, someone will text me a photo that is Roxanne, and I will come no matter the time or place, and I will whistle for her, and she will run to my whistle like she has since she was a pup, run like the wind as is her way, and hear my whistle and run to me with that big smile and run to me and smile and be with her family again. I am writing you in regards to a letter that you published on Wednesday, Feb.15, 2017. It was titled “Equal pay bill has a serious downside.” I am wondering why you would publish a letter from a person who is so unbelievably archaic in his thinking? His views on women are horrible. Does he have any idea that not everyone woman marries and has a man to take care of her. Does he really think we are Cinderella waiting for our prince to come on a white horse? Women deserve equal pay for equal work. It’s just that simple. It really is depressing to know that this man was elected to the Wasatch County Republican party as a vice chair. The Utah Republican Party needs to come into the 21st-century and represent all of their constituents. This Jim Green is only representing less than half of his. As a CEO who lives in Park City, Mr. Green’s comments dumbfound me. Over 50 years of experience running and sitting on the boards of publicly traded companies, have taught me a simple truth that runs contrary to his line of reasoning — in order to win in today’s competitive environment, companies need to hire and retain the best and brightest workers. If, for arcane reasons, i.e. gender bias, companies exclude one half of the workforce, they will, by the law of averages alone, end up with a workforce that is less competitive, with a lower IQ and lacking a broader understanding of the world. The end result will be fewer, lower paying jobs in Utah. We need all of Utah’s great minds, not just half of them, to keep our economy growing. Setting aside the blatant sexist rhetoric of his letter, has Mr. Green ever considered: widowed moms or others whose husbands have abandoned them and their children? How about single women? We have to eat too. While we’re at it, why don’t we reduce the pay for active- duty military women bravely serving their country, and reduce pension and benefits for retired military women, since they should’ve been home having babies instead of serving their country so proudly. One last thing: you know that whole “free market forces” that Mr. Green refers to? It hasn’t worked for the last 240 years for women. Why should it start working now? It was with disbelief that I read the letter from James C. Green in which he tried to justify paying women less wages than men for the same job. I read it three times hoping to find some sense in it rather than a primitive justification for outright sexism. I read the letter to my family (wife and daughter) at the breakfast table as is our custom and, at first, they thought it was a joke. Their countenances changed radically when they realized it wasn’t. I understand and respect the idea of trying to give families with stay-at-home moms the ability to make it on one income. The solution though isn’t to discriminate against women. The solution is for the man who feels so strongly about being the sole breadwinner to go out, get an education, and qualify himself for a high-paying job. (I would want the same for women too of course). The simple reality is that in this modern age it is normal for both parents to work. Regardless of how one feels about this, cutting women off at the knees and treating them like second-class citizens will not change this reality. It baffles me that people look at male and female workers as male and female workers rather than simply workers. Why the distinction? The temptation is to write this James C. Green guy off as a kook, but the reality is that he is the Wasatch County Republican Party Vice Chair and signed his letter as such. From my perspective, if he keeps his position, it is an endorsement from his constituents of this position of discriminating against women that he went out of his way to promote. (He also posted the same discriminatory letter to other newspapers). I never even considered marching in the recent “women’s rallies” in Park City. I figured that nobody was against equal pay for women and women’s rights, so marching was kind of a fruitless exercise. If there is inaction from the Wasatch County Republican Party regarding James C. Green’s promotion of discrimination against women, I would have been wrong and should have taken more action than just walking in a demonstration. When I read the letter from Wasatch County GOP Vice-chair James Green in Wednesday’s Letter to the Editor, at first I thought I was reading satire, a Stephen Colbert-type sarcasm where you say the exact opposite of what you really believe. I was so distressed when I realized he was serious. Mr. Green’s letter claimed women do not deserve equal pay for equal work because men are the breadwinners and women should be at home raising children. He said, if women got equal pay then men would get less and would have a hard time supporting their families. Mr. Green, with all due respect, your letter is a perfect example of why millions of women are marching and protesting. Forty percent of all American households are headed by women! Surely you agree they deserve the same opportunities to support their families as men do. While many women enjoy being stay-at-home moms, many of us want or need to work. We have the same education as men, the same experience, the same abilities. Denying us the same pay just because we are not male is totally unfair to us and our families. I urge you talk with a variety of women in Wasatch County. Have a chat with women school teachers, clerks, small business owners, health care workers, and so on. I guarantee you the vast majority believe equal pay for equal work is long past due. Here is the problem with your assessment of the Equal Pay bill being considered by the Utah Legislature: You aren’t a woman. A vast majority of Utah women are already working outside the home. You have no idea what it means to be a single mother or the primary breadwinner of a family while being female and while living in a society that refuses to treat women as equals. According to the Utah Department of Workforce Services, more than 58 percent of married Utah women work outside their homes. At the same time, 72 percent of never-married women participate in the workforce as do 74 percent of divorced women. Even more important to consider is that 73 percent of Utah’s mothers with only school-age children participate in the workforce. Only than 7 percent of all female Utah workers are self-employed. Thus, it is crucial that we pass legislation which ensures a woman can provide for themselves and their families without relying on the good nature of men. Utah’s divorce rate typically runs higher than the U.S. average. We also have a higher child birth rate than other states. Utah women are marrying younger, more likely to have children, and more likely to divorce in Utah. You are asking us to sit around and wait for a man to provide for us. With all due respect Mr. Green, most of us do not have the time nor the luxury. We have mouths to feed and bills to pay. While we are conditioned to believe that all men will continue to support their families while women will stay home to raise the children, this is not the case. And if your solution is to punish women for stepping up to the plate and doing right by their children, you’re terribly misguided. I submitted a letter last week which some found offensive. First of all, I want to clarify those were purely my opinions and do not reflect those of the Wasatch County Republican Party or the Republican Party in general. Secondly, I want to clarify the main focus of my letter was to express that I don’t feel the government should be dictating to private establishments what they must do in regard to employment, hiring, or wages. There was no offense intended toward Women, whatsoever. And yet some took it that way. To those who were offended, I profusely apologize. I did not mean to do that. Of course, Women’s contributions in the workplace are just as valuable as any one else’s. I was merely pointing out the historical reasons for pay disparity and the challenges of overcoming that. While I worked my fingers to the bone (with numerous extra side jobs) so my Wife could stay in the home and raise our two Sons, who are now both Physician/Surgeons (plus one also has a Law Degree), I realize not everyone is so fortunate. Please accept my apology for any misunderstanding.